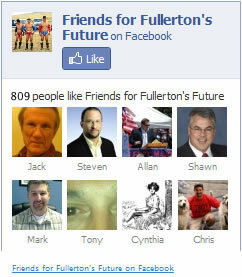 The Fullerton Observer is a “progressive” publication based in the City of Fullerton. It is edited and published by Sharon Kennedy. The Observer is often criticized for the subtle interweaving of editorial content within news coverage. It doesn’t cost anything so you get what you pay for. No More MIA “Leadership.” No Doug Chaffee.